The Cuban pianist Omar Sosa is a committed collaborator. Throughout his recording career albums in his name have featured musicians from diverse musical heritages: Tunisian oud player Dhafer Yousef on Mulatos; New England Americana multi-instrumentalist Tim Eriksen on Across The Divide; most recently Senegalese kora player and singer Seckou Keita on last year’s Transparent Water. Here the collaboration is a closer one in the sense that violinist/vocalist Yilian Cañizares is Cuban-born, but the influences that she brings to the music are as diverse and global as Sosa’s – she studied classical violin in Cuba, and has lived in Venezuela and Switzerland since, and her music feeds on her Yoruba ancestry. With the exception of percussion from Inor Sotolongo all the sounds you hear on Aguas are from Sosa and Cañizares, but that doesn’t stop it having an expansive soundscape since Sosa uses a variety of keyboards and both musicians are well versed in the use of programming and samples. Sosa sings also. The combination of acoustic piano, violin and voices in amongst the lushness of synths and digitally altered ambience is tastefully handled and reflects perfectly these two musicians as delighted to be working in their musical tradition as they are to be dressing it with all the modern technologies at their disposal. All the compositions are jointly credited and take in original songs which could just as easily be decades-old folk melodies, so compelling are they as ear worms, gently funky grooves and jazz improvisations of the fusion kind. The album takes water as its theme and there is a flow and fluidity to the way it slips and slides along. Omar Sosa has an extensive discography and has built up a substantial fanbase; Yilian Cañizares may be a less familiar name but her 2016 album Invocación indicated that her star is surely on the rise and she blooms even more richly in this collaboration. 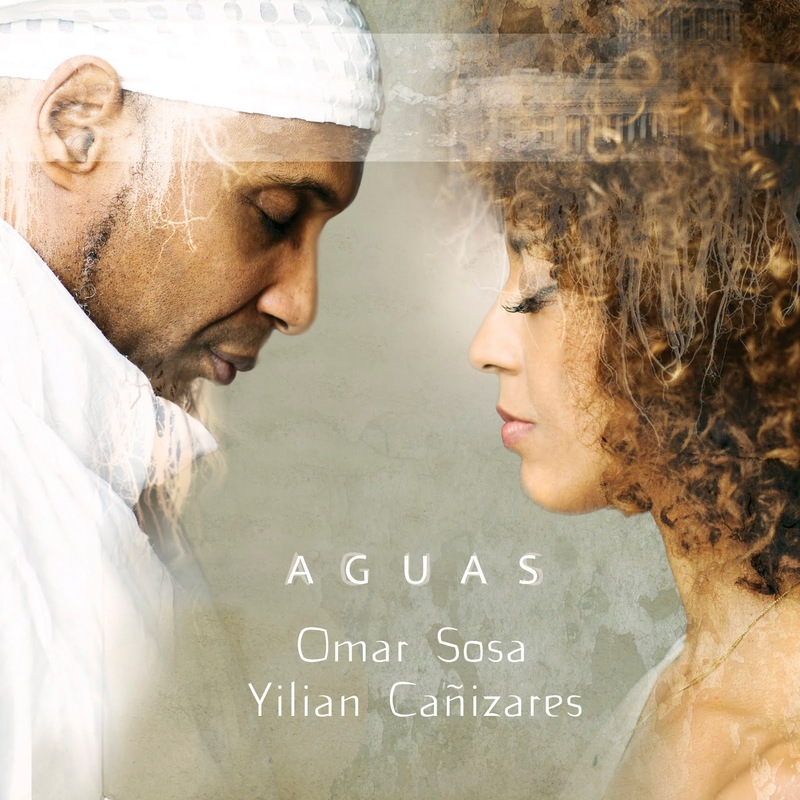 Aguas is a hugely generous album with many moments of pure gorgeousness. Omar Sosa and Yilian Cañizares are appearing at the EFG London Jazz Festival as part of the Jazz Cubano! triple-bill on Friday 23 November at the Barbican. LINKS: Booking for Jazz Cubano!